Each and every event we organize has a detailled budget that we decide to publish online. All the donations harvested will be given at 100% to a reliable Anglo-Saxone foundation that takes care of AIDS children. Even modest, these harvested donations will be given at 100% to our reliable sister organization that is taking care of orphans infected or/and affected by HIV. To sponsor a child it is to allow him (her) to have shelter and food every day, often a day, in an environment familiar to him (her). Together against the innomable, because today hardly 10 % of the HIV-positive children have access to the care. is now available in English! 28.09.14"International leaders leaving or personalities affected by HIV / AIDS" - Johannesburg, South Africa. 28.03.14"Children with HIV may be happy" - Educational workshops for parents / tutors who care for children living with HIV / AIDS: The project aim is to increase the educational competence of parents / legal tutors of children who live with a chronic illness. The classes will be followed by 30-40 parents / tutors and their children 0-13 years across Poland. While parents attend classes, qualified teachers and volunteers provide children with interesting attractions. Thank you to support this project by voting on the website of the foundation AVIVA! Thank you to send your questions to our sister organization in Poland, through TDMES. 25.10.13The representant & founder of TDMES, Ludovic-Mohamed Zahed, was in Burundi to drive a two days séminar about deconstructing prejudices concerning HIV/Aids and sexual and/or vulnerable minorities; a seminar organized in collaboration with the Euro-African confederation CALEM, the Gret and the local organization HUMURE. About twenty representatives were at the seminar coming from Burundi, Congo and Rwanda, and our documentary Planète infectée was spread there as a sensibilization tool concerning complex problematics. 06.04.13TDMES is happy to spread our documentary "Génération Sida" amongst our partner's volunteers of Solidarité Sida, to isnpire them about original and strong ways to fight back the pandemic. 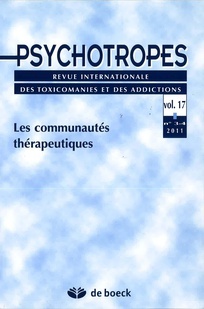 2011The founding president of our association joined the committee of organizational experts of the ANRS for the trial IPERGAY. 01.12.11The first December 2011, we are proud to present the final vzersion of our documentary in 29 countries, and the book about that adventure alongside with the children of Aids; thanks to Libération.fr, Dailymotion & the Agence Française de Développement that organized a public presentation at 1.30 PM (AFD, Paris). The travel blog texts are now available, in French, at the Harmattan editions (click here). 09.10.10Our organization is part of the main CALEM colloquim in Paris - our expertize is needed, espacially with the CALEM partners coming from the Arab-Muslim world, since TDMES visited several of these countries during our exelusive enquiry. 2010 - 2012Our organization is planning to join several French organization, for a two years prevention and training programm, towards our sister organizations (among which are are part of our international network, the ACNISS). 01.12.09TMDES was in Warsaw (Poland) to present our two years enquiry results, during the Polish national conference of PLWHIV. 05.06.09The World Tour is back to Europe, sound and safe oafter two years of enquiry, 9 month on the field ! 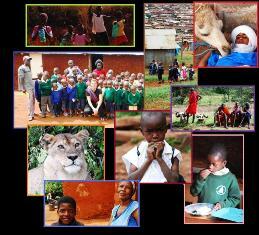 10.05.09After our enquiry in South Africa, our World Tour got the Swaziland & Mozambic. Today the World Tour is in Kenya, on the Masaï Mara wild territories ! 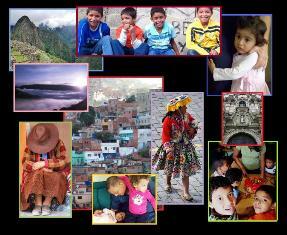 15.04.2009In south America, our World Tour passed byt the Incas holy cities, to the Barrios of Caracas : the most dangerous city in the world ! 15.11.2009In Russia, AIDS children life is incredibly hard. The World Tour is stopped at the border for more than one week (...). In Kazakhstan, two months after the beginning of the Tour, the television wanted to know more about the reasons of such an initiative. In Iran, our president met the children of the south district of Teheran. Yesterday, the Tour was in India where we turned the second part of the documentary on the Indian children of AIDS (photo below). 12.08.2008On August 12th, 2008, AIDES Paris recommended us numerous local associations at the international level, which take care of the children of the AIDS: thanks to Miss Meurisse ! 2007 reflexion, then action ! DocumendddddqsfdqsfcqsdIn 2007 Ludovic Zahed learned from a TV programm the situation of the children of AIDS throughout the world: he wants to be a part of some change here.